A young Hong Kong woman is the first local musician to make it to the closing stages of the Cliburn International Piano Competition - rated an Olympics of classical music. 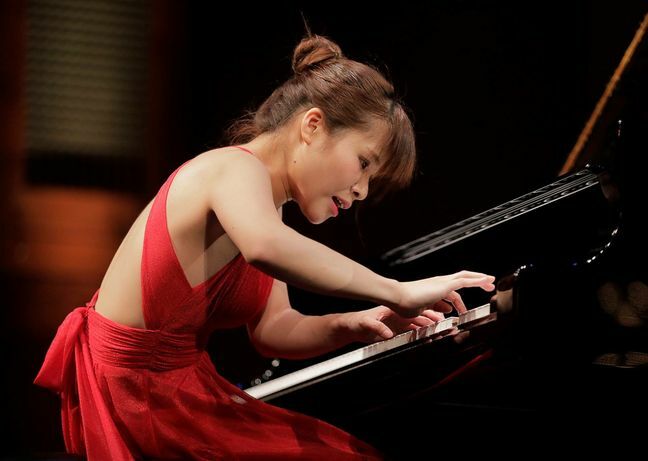 Rachel Cheung Wai-ching, 25, is also the only female among 12 pianists aiming to hit the very highest notes during the closing stages of the competition now playing out for a 15th time in the US city of Dallas. Cheung made it there after practicing from eight to 10 hours daily on top of her busy teaching schedule in Hong Kong. An announcement last Wednesday that she had made the last 12 came as a "surprise," she said, and tonight comes her big test with a performance on which hinges her hopes of making it to the last six. "My heart is still pounding," Cheung said. "Making it to the semi-final is already a bonus for me." She felt honored to be there, she said, and was ready to show the world that Hong Kong can produce top musicians. "It has been the happiest stage I have performed on," she added. "Every repertoire in the program have been pieces closest to my heart." The challenge tonight comes with a one-hour recital and a Mozart concerto performance with the Fort Worth Symphony Orchestra. "It will be the most physically challenging round to date," said Cheung, who since arriving in Dallas on May 21 has shunned social media to stay focused. In the previous round, Cheung performed Sibelius' Valse triste (Sad Waltz) Op 44, No 1 and Chopin's 24 Preludes, Op 28. Reviewers said her set was "full of lyrical beauty and stylish interpretations." If she advances from tonight's test she will be facing finals running from Wednesday to Saturday. The six finalists will each perform a piano quintet with the Brentano String Quartet and a Romantic concerto with the Fort Worth Symphony Orchestra. That will bring down the curtain for this year on a highly competitive process that started with more than 290 professional pianists sending in DVDs last October. The competition is named after American pianist Van Cliburn, who died in 2013. It is held every four years and is one of the finest international showcases for young pianists. The first prize this year includes a US$50,000 (HK$389,000) cash prize and a recording opportunity with Universal Music Group. Eleanor Wong Yee-lun, Cheung's mentor, described her as "an intense pianist with very strong emotions." Cheung has grown up in the limelight as a child prodigy. By the age of nine she had already won first prize in the Hong Kong regional competition of the Steinway International Youth Piano Competition.